douard Glissant was a leading voice in debates centering on the postcolonial condition and on the present and future of globalisation. Prolific as both a theorist and a literary author, Glissant started his career as a contemporary of Frantz Fanon in the early days of francophone postcolonial thought. 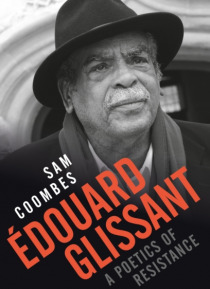 In the latter part of his career Glissant's vision pushed beyond the boundaries of postcoloniali… sm to encompass the contemporary phenomenon of globalisation.Sam Coombes offers a detailed analysis of Glissant's thought, setting out the reasons why Glissant's vision for a world of intercultural interaction both reflects but also seeks to provide a correction to some of the leading tendencies commonly associated with contemporary theory today.